Rotaract Club of Sri Guru Gobind Singh College of Commerce conducted its installation ceremony on 29 October 2015, to honour the newly elected core committee members for the year 2015-16. 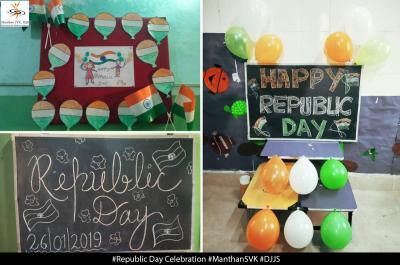 To celebrate the occasion, DJJS was invited to grace the ceremony with a dance performance of its students’ beneficiaries of Manthan – SVK program for underprivileged children. The event commenced with words of encouragement from the young and energetic club members followed by an overview of accomplishments of the club in the last quarter. 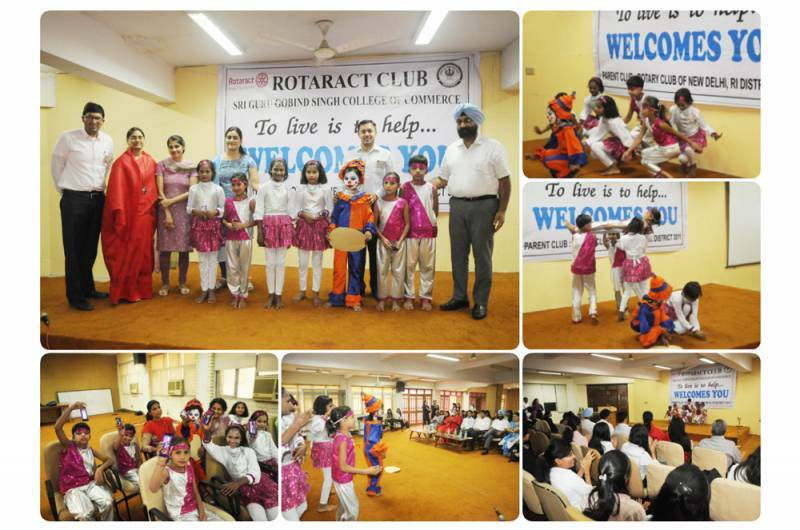 Performances included an enthusiastic dance performance on Bam bam bole… by the students of Manthan –SVK, Dwarka and a recital of melodies by the members of Rotaract Club. 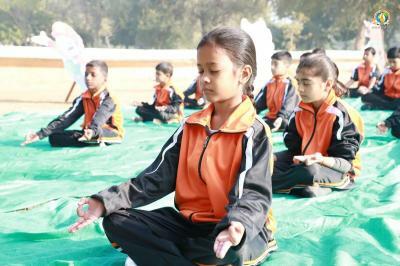 The chief guests included Mr. Prashant Sehgal, President, Rotary Club, New Delhi; Senior Rotarian, Mr. Vir Philip ; Sadhvi Deepa Bharti, Program coordinator- Manthan-SVK, DJJS and Mr J.B Singh, Principal, SGGSCC. Princial Shri J.B. Gill and club convener Mrs. Simarpreet Kaur spoke on how the Rotaract Club has evolved over the years in the field of social work and how it has benefitted the personality of the students in their journey. Mr. Prashant Sehgal gave an insight on the thought process that went behind the collaboration of Rotary club with the colleges to channelize the youth and harness their energy for the betterment of society. He appreciated the partnership of the Rotaract club of SGGSCC with the Manthan SVK program of DJJS and the cooperated efforts that is benefitting the lives of underprivileged children. 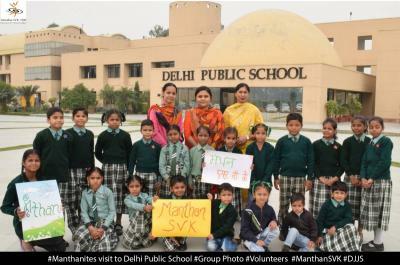 Sadhvi Deepa Bharti Ji spoke on how the Rotaract Club has contributed vigorously to Manthan-SVK and its growth in Patel Nagar center of New Delhi. 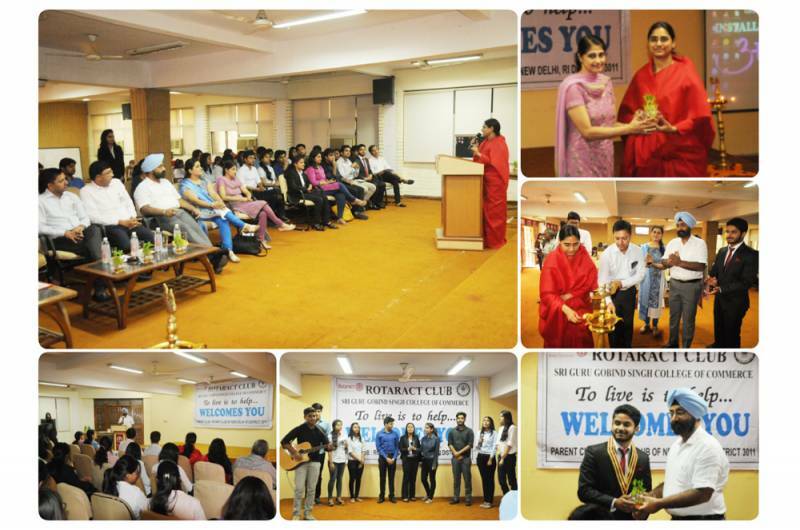 She appreciated the zeal and energy that the Rotaract Club members possess towards the tasks assigned to them. 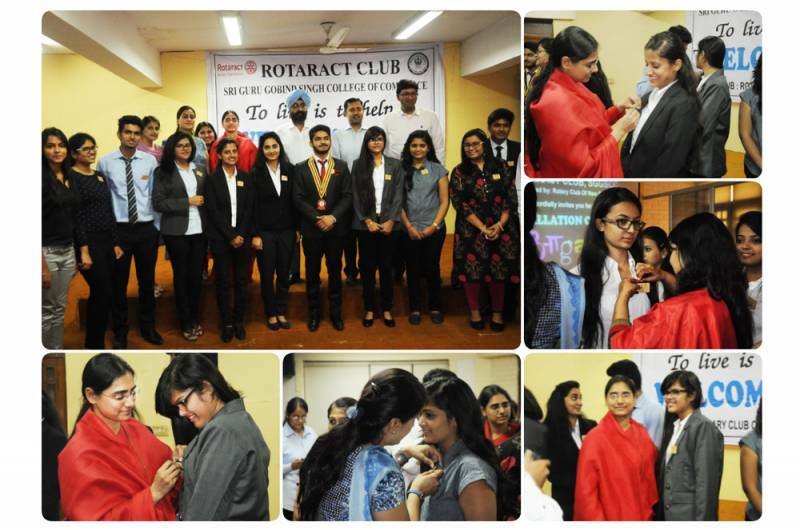 The event concluded with the pinning ceremony of President, Dhruv and his newly elected committee members.